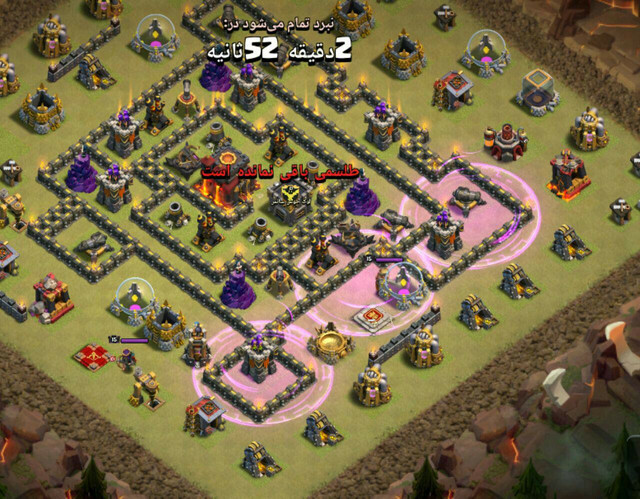 NOTE |Attack: Gi-Barch, 3 sides, Dark Elixir Attack. و دیگه چیزی نشون نمیده! ممنون از اینکه این توضیحات رو دادید خیلی کمک کننده هست ولی این موارد اصلا ترجمه و توضیح داده نشدن. BUILDING gives ability for vector to be created that targets buildings. There are two types of drop on building vectors that can be created. When DROP_POINTS = 1; the vector created is on location of building found via image search. When DROP_POINTS = 5; will create five (5) DROP locations that are near red line, at shortest distance to building specified on side of attack. 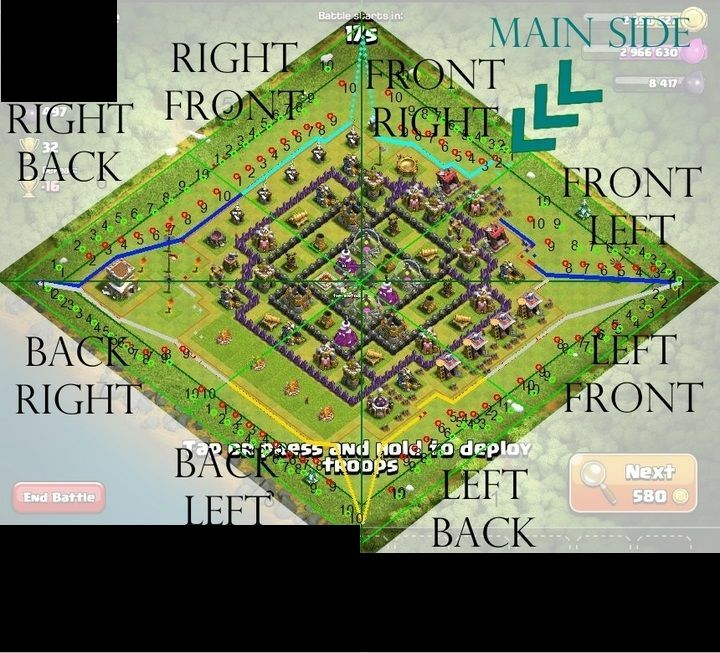 If no target buildings are found on side of attack, building location will be randomly picked, usually on top half of base if more than one exists. With building target MAKE vectors; VERSUS, and RANDOM x,y values will be ignored. VERSUS needs to have valid entry in field: "EXT-INT", "INT-EXT", or "IGNORE". RANDOM can be empty and is ignored as the image find will create variability between attacks and we do not need to add more. 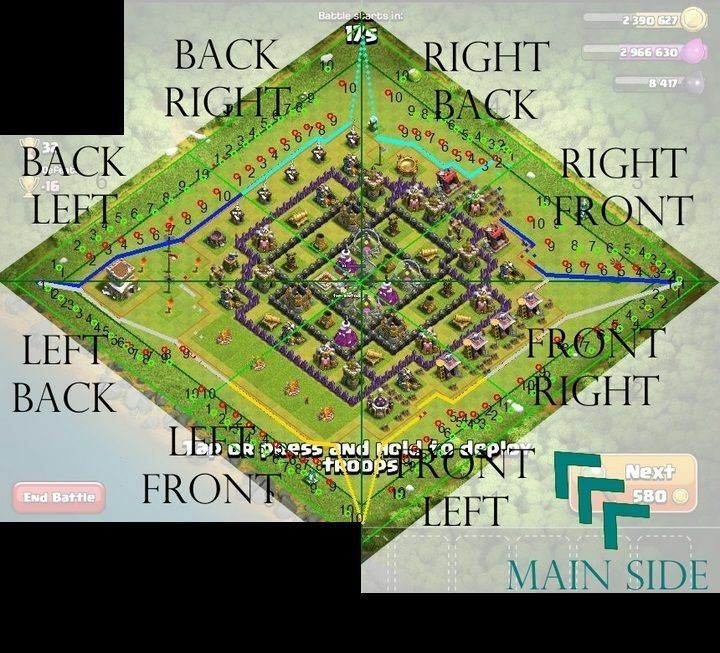 ADDTILES is also ignored when using NEAR BUILDING target, but can be used with drop on building to move spells towards/away from attack troops coming to help them reach the building. 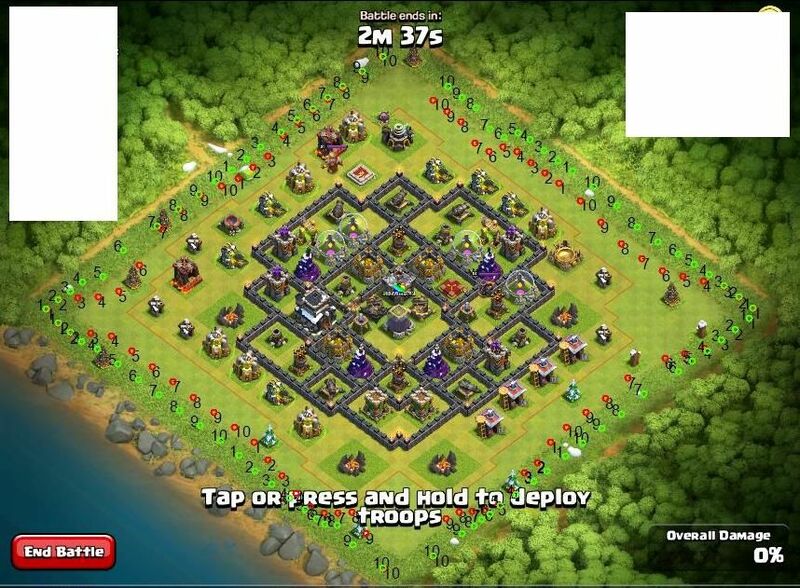 Available BUILDINGS to target are: TOWNHALL, EAGLE, INFERNO, XBOW, WIZTOWER, MORTAR, AIRDEFENSE.